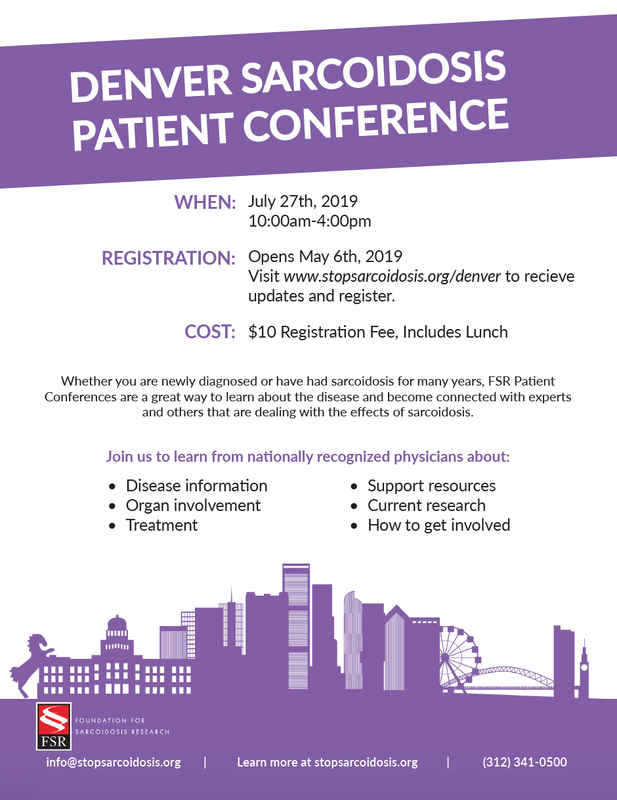 Please join the Foundation for Sarcoidosis Research and internationally recognized physicians in Denver to gain valuable insight into sarcoidosis. Patients and loved ones will have the opportunity to learn about FSR’s research initiatives, sarcoidosis treatment options, and clinical care with experts in the field in Denver. Registration for this event opens on May 6, 2019. In the meantime, complete the form below to sign up for a reminder email so you can be among the first people to register and save your seat for the event!